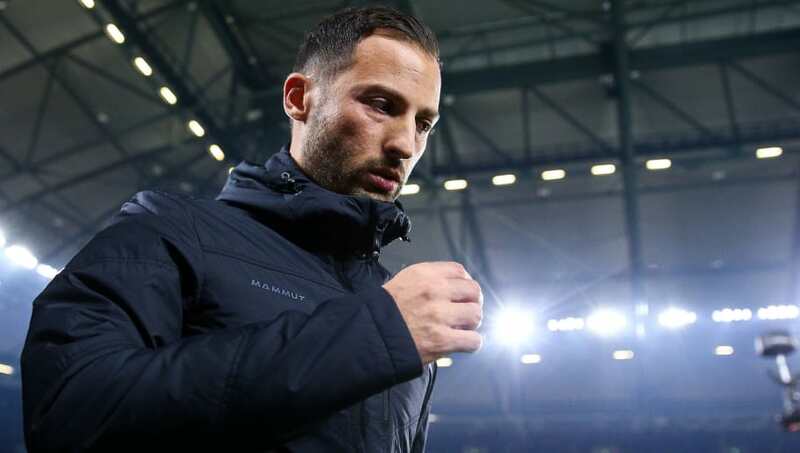 Schalke 04 manager Domenico Tedesco was frustrated that what the club have been working on in training was undone inside 10 minutes when the Royal Blues hosted Bayern Munich on Saturday. The reigning Bundesliga champions took the lead through James Rodríguez early in the match, with the Colombian pouncing on some slack defending to nod the ball into the back of the net directly from a corner. Robert Lewandowski then converted a second half penalty to put the game out of sight, but Schalke never looked like catching Bayern Munich at any time during the match. Tedesco admitted that there is still "something missing" in Schalke's attack following their defeat, but the young manager claims Bayern Munich's defenders deserve a huge amount of credit for their performances. "We were very shaky in the first ten minutes," Tedesco said after the match, quoted by the club's official website. "We were overawed by the number of balls coming at us; there were so many crosses coming in. "Bayern, therefore, deserved their lead after eight minutes. James shouldn’t have been able to catch us out like that though. "It’s so disappointing to now have gone behind to early set-piece goals in Wolfsburg, Mönchengladbach and today against Bayern, especially as we are constantly training set-pieces as well. "After going behind we were solid and put a good shift in. We were constantly trying to cause Bayern problems. Both strikers worked non-stop and never gave up. "Ultimately we were just missing something going forward to get that goal. We just couldn’t get past Bayern’s two central defenders today." Schalke will now hope that they can get their first point on the board in midweek when they travel to face SC Freiburg. The Royal Blues then welcome Mainz 05 to Gelsenkirchen, with Sandro Schwarz's side currently unbeaten this season.